Before French charmer Jean Dujardin was hoofing and heartbreaking in the Oscar-winning silent romance The Artist, he joined a cast stacked with incredible French film stars including The Dark Knight Rises's Marion Cotillard and The Intouchables's François Cluzet for the 2010 ensemble dramedy Little White Lies. Actor turned filmmaker Guillaume Canet wrote and directed the feature, which focuses on a tight-knit group of friends who annually share a jubilant extended vacation together. However, the light-hearted joy of these festivities is shattered when one of their group suffers a horrible car accident. With his survival uncertain, the others begin assigning blame, bringing to light the many truths they'd long kept hidden. Personally, I've been fascinated by Cotillard since 2003, when she co-starred with Canet in the bittersweet romantic comedy Love Me If You Dare. (If you haven't seen it, indulge your Cotillard crush and seek it out immediately!) So, seeing a film directed by the latter and starring the former is beyond enticing to me. Add to this the acclaimed ensemble cast and a nostalgic soundtrack with tracks from The Isley Brothers, Creedence Clearwater Revival, Janis Joplin, David Bowie, and Nina Simone, and Little White Lies sounds like a movie not to be missed. 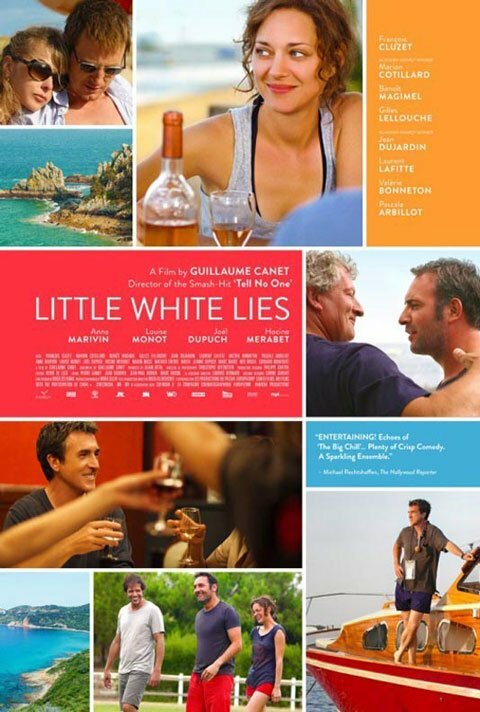 Little White Lies will hit theaters in the U.S. August 24th. Should Marvel Announce Its Entire Phase 4 Slate Post-Endgame?